GDL is one of the largest and most successful privately owned livestock and property selling agencies in Australia. The GDL footprint of 16 branches forms a marketing network throughout the cattle and sheep producing areas of Queensland. GDL’s partnership with Ruralco, also provides clients with the ability to tap into an extensive marketing network right across Australia. At GDL our number one priority is to listen to your needs and work with you to help your business grow and prosper year after year, season after season. From our smallest, to our biggest clients, we know every dollar counts. With no head office bureaucracy, we are totally accessible, flexible and adaptable. We build lasting relationships based on the principles of honesty, integrity and pride in a job well done. Back in 1997 the formation of the new private Queensland livestock and station agency, Grant Daniel & Long, was an enormous gamble. Grant, Daniel & Long saw the teaming of experienced and respected livestock agents Noel Grant and Jamie Long, with the youthful Peter Daniel and John Cullen. Based in Dalby, the men used second hand cars, and mobile phones bought from cash converts to put in the hard yards to build their fledgling business. “We wanted to build a livestock and property agency based on old fashioned personalised service,” says Peter Daniel. Their culture of hard work, honesty and professionalism paid off and within 10 years they had 12 branches and were trading more than 200,000 cattle. Peter Daniel says it’s not just a matter of buying cattle. “Anyone can stick their finger up. It’s providing good advice and buying the right product for each client”. 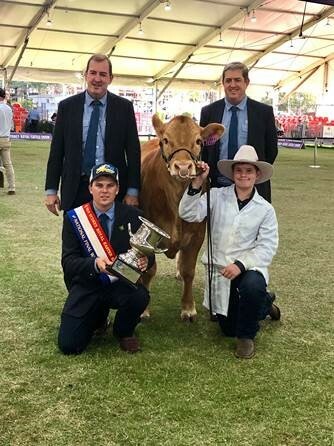 By 2007 Grant Daniel & Long had changed its trading name to GDL and entered into a joint venture with national company Ruralco which gave it access to the resources of a further 500 livestock agency offices across Australia. “This gave us the ability to help our clients tap into an extensive network right across Australia,” says Peter Daniel who took over as Managing Director of GDL in 2012. His fellow directors are Andrew Wardle and Andrew McCallum. GDL has continued to grow and now has 16 Branches which create a marketing network throughout the cattle and sheep producing of Queensland. GDL Branches are based in Dalby, Barcaldine, Blackall, Cunnamulla, Goondiwindi, Kingaroy, Longreach, Meandarra, Miles, Mitchell, Moura, Quilpie, Roma, St George, Taroom and Wandoan. GDL is also partnered with Territory Rural McPherson in Alice Springs NT and QNT Rural Agencies in Emerald QLD. GDL is now trading close to 300,000 head of cattle in one of the largest cattle trading regions in the country. Peter Daniel says GDL’s success can be attributed to its hand-selected team. GDL takes pride in identifying talented young people and investing in their development. GDL now has around 50 members on their team which has given them the ability to expand their services, adding merchandise, finance and insurance to meet the needs of their widening rural client base. GDL has also moved into the studstock arena with the dedicated team of Harvey Weyman-Jones, Mark Duthie and Peter Brazier continually increasing GDL’s market share. Property Sales have also become a huge component of the GDL success story. Andrew McCallum is the GDL Real Estate manager and a winner of the Mike Nixon National Award which recognises those who excel in the stock agency industry. Andrew McCallum says his goal is to offer clients a high level of communication and service that provides flexibility and solutions for every client’s individual needs. With GDL here for the long term, its history is still a work in progress. GDL is the largest independent livestock and property agency in Australia. From humble begins in 1997, with just a desk, a phone and four agents, GDL has consistently put the runs on the board. Now GDL’s 16 Branches create a marketing network throughout the cattle and sheep producing areas of Queensland. Working in joint venture with national company Ruralco, GDL has access to the resources of a further 500 livestock agency offices across Australia. As well as marketing commercial livestock, GDL specialise in studstock, real estate, finance and insurance, merchandise and transport logistics. 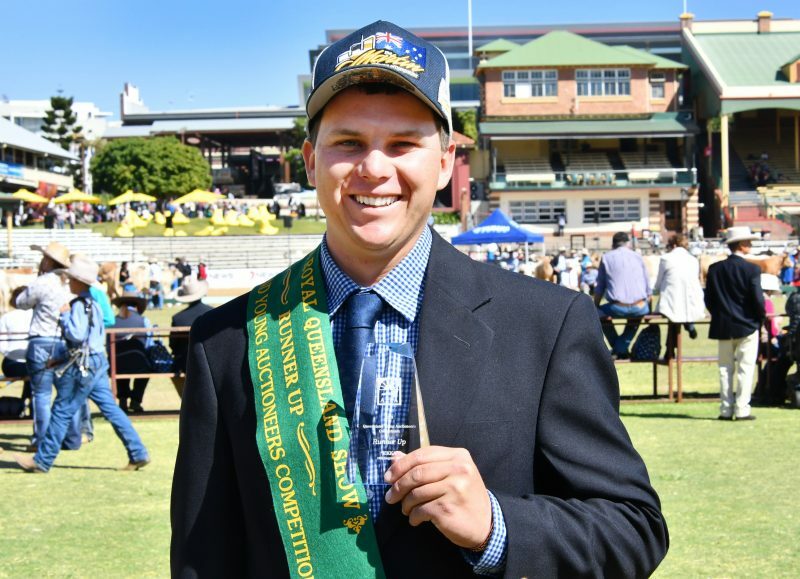 Anthony O’Dwyer – Runner Up 2018 QLD ALPA Young Auctioneers Competition. Our hand-picked team are our greatest asset. Our people are passionate individuals with the professional expertise and local knowledge to help you make the right decisions to deliver the best results. Our stable and experienced workforce take pride in identifying talented young people and investing in their development. GDL is committed to on-going training for all employees so they maintain their energy, efficiency and passion for what they do. Like you, we live and breathe our business 24 hours a day. From our livestock and property agents, to our administration staff, we all have a common goal to deliver the best possible outcomes for our clients.